The Battle of Metz was a land battle fought between the allied forces and the German forces during World War II. It took place at the city of Metz following the Normandy landings. The attack on the city by the United States Third Army faced heavy resistance from the defending German forces, and resulted in heavy casualties for both sides. 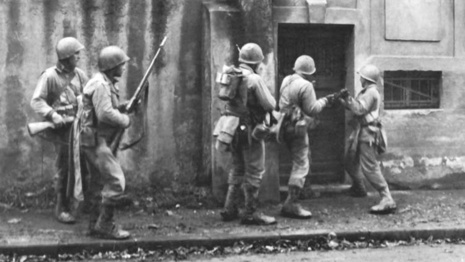 The battle lasted for several weeks and the heavily fortified city of Metz was captured by US forces before the end of November 1944. 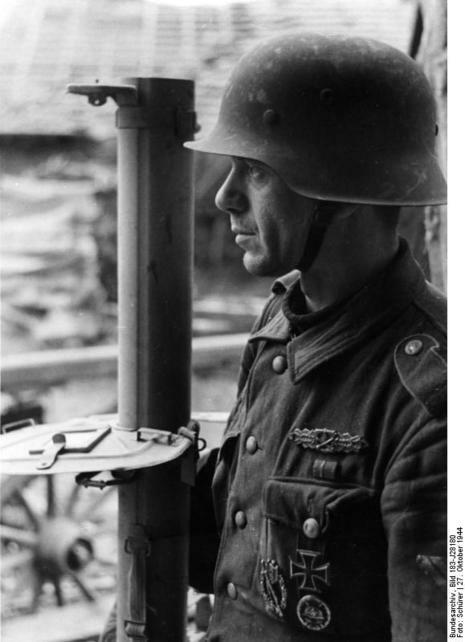 The battle ended in victory for the allies following the surrender of the remaining German forces. On 19 November the 359th cut still another of the Metz exit roads at Les Etangs, after an advance in which planes of the XIX TAC worked directly with the infantry, swooping down as close as one hundred yards , in front of the American patrols, to strafe the fleeing enemy.66 For most of the enemy who were trying to find a way out of the Metz pocket all hope of continuing the battle was gone; pounded by planes and guns, they surrendered willingly. 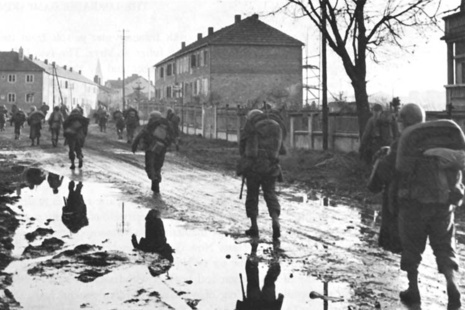 About 1030 the 90th Reconnaissance Troop met the 735th Tank Battalion, supporting the 5th Infantry Division, and the envelopment of Metz had been successfully completed.